I’m writing this in response to the ‘Chrysotile Conundrum’ article which was published in Daily News – Features section on 07.08.2018. I regret that the article was written based on a rushed and spontaneous interview which the writer had with myself and another colleague some time ago. And it has been written with the intension of ‘proving’ a preordained viewpoint of the anti-asbestos factions – both in Sri Lanka and overseas. Unfortunately, it has become a stereotypical trend to concoct material based on hearsay and assumed data, backed by unscientific and unproven concepts and ‘theories’ to conceal the plain truth. The article reiterates that Chrysotile imports have escalated to unprecedented levels, and the country is at present the second or third largest Chrysotile importer in the world. It further says that Chrysotile consumption in Sri Lanka during the last few years have increased by 251%. However, based on tangible figures presented by Sri Lankan economists and industry related specialists, Chrysotile imports have gradually declined over the years. 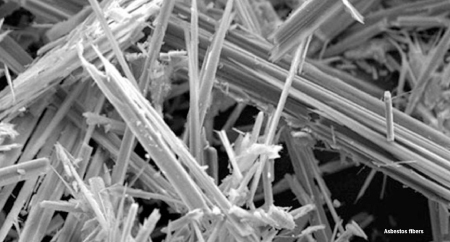 Under ‘Asbestos Exposure’, the writer elaborates that diseases caused by asbestos, including Chrysotile, claim the lives of 100,000 people per year, adding that the global death toll may reach 200,000 annually. Regrettably, these figures have been drawn based on an extrapolation of a Finnish study conducted many decades ago, hence, it does not represent exact figures. Regardless to the aforementioned numbers, the World Health Organization (WHO),under its 9th and 10th revision of International Classified Diseases (ICD-9 and ICD-10), clearly states that Asbestos Related Diseases (ARD) in the world has in fact declined. The article further excerpts a case study of Australia, and how it has gone to great lengths to resolve the matter. However, it has skipped the essential context which led a massive country like Australia, which once recorded the highest per capita use of asbestos in the world, to ban the material completely. As a matter of fact, Australia imposed a total ban on all types of asbestos on 31st of December 2003. What precedes this action is a shocking revelation about how the country has allowed the use of over 4000 varieties of friable products made of asbestos for many decades. This practice was ensued with catastrophic results in terms of perennial health hazards, pressing the authorities to impose a complete ban on all types of asbestos and take stringent measures to prevent further exposure to airborne particles. On the contrary, Sri Lanka has from the outset imported and processed only Chrysotile – white asbestos, which is primarily used in the production of roofing related products. The local manufacturers apply most modern technology and innovation to produce high density Chrysotile products, where a thin layer of Chrysotile (2%) is tightly encased within a cement and water mixture (98%) – leaving no room for the material to become friable. In comparison to the condition of Australian plants which contained 400 fibres per cubic centimetre (400 f/cc), Sri Lankan plants contain less than 0.1 fibres per cubic centimetre (0.1 f/cc). According to a research report published by the National Building Research Organisation (NBRO) in 2017 themed ‘Air-Pollution from Chrysotile Fibre in Roofing Products in Sri Lanka’, it has been revealed that Sri Lankan plants and houses with Chrysotile roofing that were subjected to the research contained ambient fibre levels. It further testified the amounts were below OSHA (Occupational Safety and Health Administration) Standard of Permissible Exposure Level for asbestos. The NBRO report further underscored that local chrysotile manufacturers, who are members of the Fibre Cement Product Manufacturer’s Association (FCPMA), have strictly adopted Hatschek technology and has continued to maintain ‘safe use of Chrysotile fibre’ to minimize the risk of airborne particles. On a different note, the article also stresses that Sri Lanka uses Chrysotile not only for roofing, but also for other products such as brake pads and insulation material. However, unlike European and Pacific countries that depends heavily on sprayed asbestos for insulation, Sri Lanka has never applied asbestos for house insulation. Nevertheless, asbestos is contained in certain goods imported from the European Union, such as refrigerators, boilers, ovens and incubators. Furthermore, Sri Lanka uses almost all of its imports of Chrysotile (99%) for the manufacture of Chrysotile fibre cement roofing sheets, and only less than 1% is used in the manufacture of jewellery. At present, there are no brake liner manufacturers or insulators in Sri Lanka who applies Chrysotile fibre for their products. This can be further verified from the Sri Lanka Customs import data. Unlike western countries, Sri Lanka never resorted to asbestos insulation for housing in its colder destinations. Furthermore, the local Sandwich Panel producers never incorporated any type of asbestos in the manufacture of their products. Countries like USA and those in European Union have applied asbestos to heighten acoustics or sound proofing of their studios and manufacturing plants. However, this too has not been practiced in Sri Lanka. Anton Edema claims that our interview was “rushed and spontaneous.” Yet, with his permission, I recorded over 75 minutes of our interview, which was scheduled many days in advance with his colleague, Priyantha Jayasinghe from Rhino Roofing, who was also present and participated. The FCPMA and Rhino Roofing declined the Daily News access to their factories. Premasiri supported the statement of Dr. Amarasinghe, Sri Lanka’s NIOSH Director General, that asbestos is also present (not manufactured) in Sri Lankan goods such as brake pads and insulation materials. Public Administration and Management and Law and Order Deputy Minister Nalin Bandara said the CID is meticulously investigating the alleged assassination plot on President Maithripala Sirisena and former Defence Secretary Gotabhaya Rajapaksa. He said nobody should come to preconceived conclusions on the investigations. "We are not detectives to advice the CID. If there are detectives in the Joint Opposition, we urge them to join the CID instead of levelling various allegations and announcing various conspiracy theories,"he said. The CID has already obtained voice recordings from both DIG Nalaka de Silva and anti-Corruption Movement Operations Director Namal Kumara and we must allow the CID to investigate the matter independently,” he added. Addressing a media briefing held at the UNP headquarters Siri Kotha yesterday, he said that media reports largely highlighted that an Indian national has made various revelations about the allegations of assassination plot. But, later it was revealed that he had no involvement in this matter and he has just gone to meet Nalaka Kumara after this issue was exposed through the media. However, his own family members reveled that he had a history of mental illness since 2000. But unfortunately media institutions did not give enough publicity to correct this incorrect media reports.,” he added. Meanwhile, the Deputy Minister further said that IGP Pujith Jayasundara appeared before a three member committee yesterday to provide evidence into allegations leveled against him. Commenting on the allegations made by JO with regard to the missing of a sniper rifle belonging to the Police Department, he said no sniper rifle or LMG belonging to the Police had gone missing from the Police Department. "These weapons are safely stored in the Police Department, STF, Sri Lanka Police College in Kalutara and Colombo Police Headquarters. However, the CID will investigate whether that TID has seized a sniper rifle during its raids,” he added. The National Transport Commission (NTC) yesterday, launched an online bus seat reservation portal for long distance private buses. Transport and Civil Aviation Minister Nimal Siripala de Silva said that commuters travelling long distances would now get an opportunity to book bus tickets online through www.ntcbooking.lk website and through an app. The minister said that passengers could make use of the facility to reserve their seats on long-distance buses plying on 35 routes, departing from Colombo Fort to several destinations such as Jaffna, Kataragama, Badulla, Ampara, Deniyaya, Passara, Lunugala, Akuressa, Thirukovil, Batticaloa, Point Pedro, Madolsima, Anuradhapura, Dayagama and Trincomalee. “The app could be installed into mobile phones and computers. After an online booking, passengers need to show the seat number to the bus conductor, who will then issue an e-ticket. Due to this service, long distance travellers could be able to book bus seats on long distance private buses to any destination in Sri Lanka from one particular place and receive the details of the bus ticket to their mobile phones to make sure that they would have a safe and comfortable journey. This is a unique opportunity which would make it easy for passengers to reserve their seats to avoid any hassle and inconvenience to reach their destinations with the comfort,” he added. Singer Damith Asanka was remanded till October 9 by Wellawaya Magistrate Mahesh Vakishta for bearing a robe stolen from the chief incumbent of a temple in Ethiliwewa on Thursday. The singer was arrested by the Kuda Oya Police on information given by Ethiliwewa villagers that Asanka was walking on the roads in the village wearing the robe of the chief incumbent of the village temple. The Magistrate ordered the Police to produce him before a psychiatrist and submit a report to court. Villagers said he was suffering from a mental disorder and had arguments with the villagers and with family members. A doctor has recently made a complaint to the Kollupitiya police alleging that his wife had beaten him with a broomstick until it had broken apart. Police said investigations revealed that the doctor concerned had five mistresses apart from his legal wife and he had 13 children out of all of them. The doctor had three children from his legal marriage and the wife had beaten him when he arrived to take away one child who is two and a half year old. However the doctor had taken away the child and handed him to his second mistress after which police intervened and brought and handed over the child back to the legal wife. Kollupitiya police acting OIC Inspector Pradeep Wickramaratne and child and women's secretariat OIC Inspector Inoka Kumari conducted the inquiry in the presence of the complainant doctor and his legal wife. Investigations had already revealed that the doctor who is a MBBS graduate had worked at an outstation teaching hospital and abandoned his post. His legal wife is residing in Kollupitiya with her three children. Investigations also revealed that the doctor had 10 children out of his five mistresses. The legal wife had come to know about the husband's escapades only after several years of marriage. Kollupitiya police said the matter would be referred to a Mediation Board for settlement.